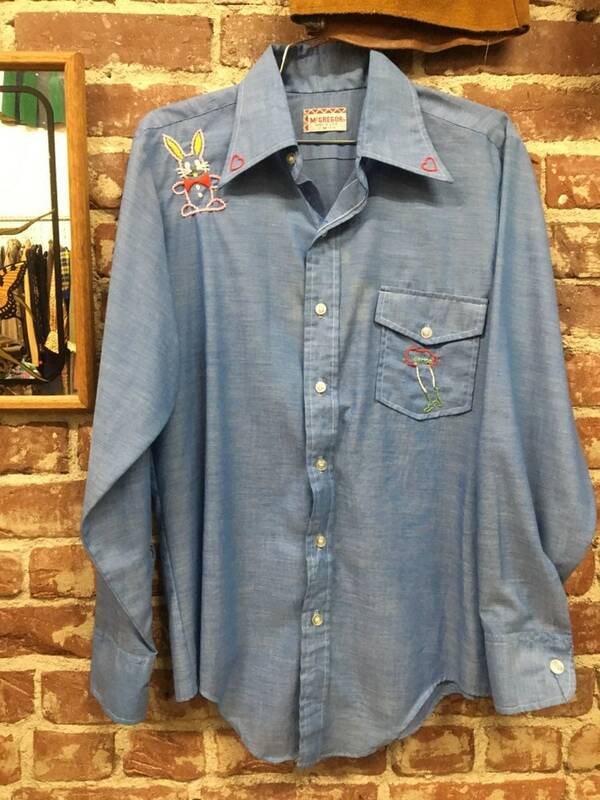 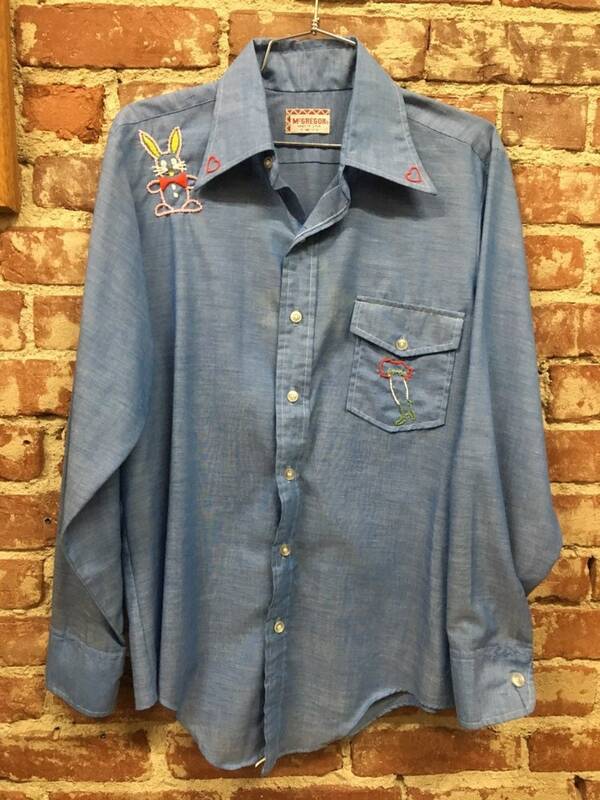 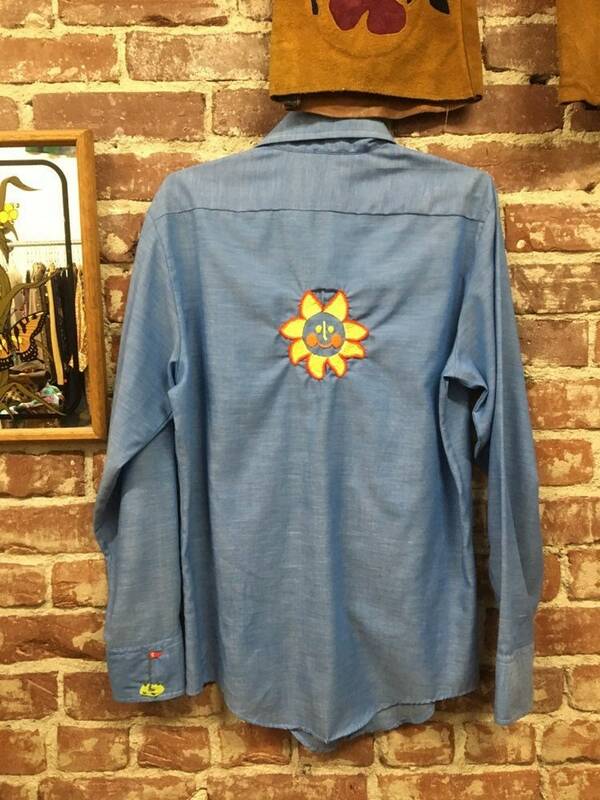 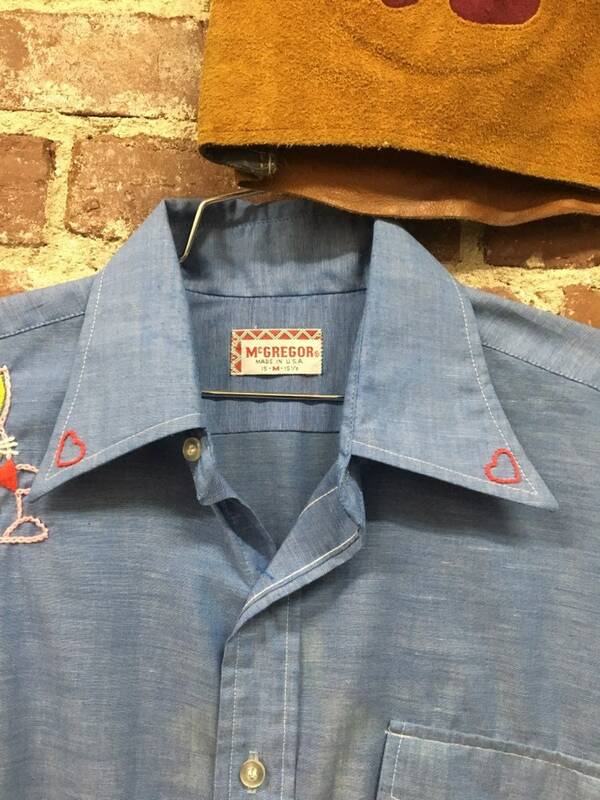 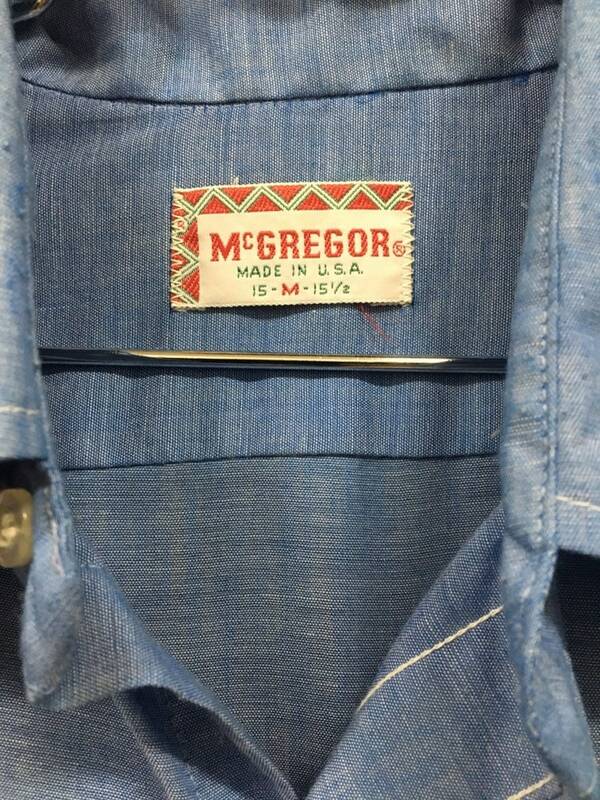 Beautiful men’s seventies embroidered shirt by McGregor. 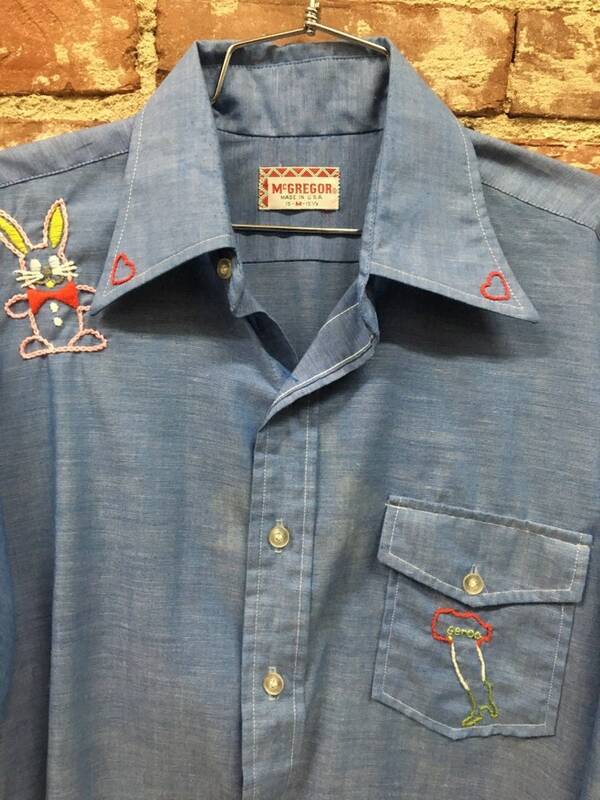 There’s a heart on each lapel. 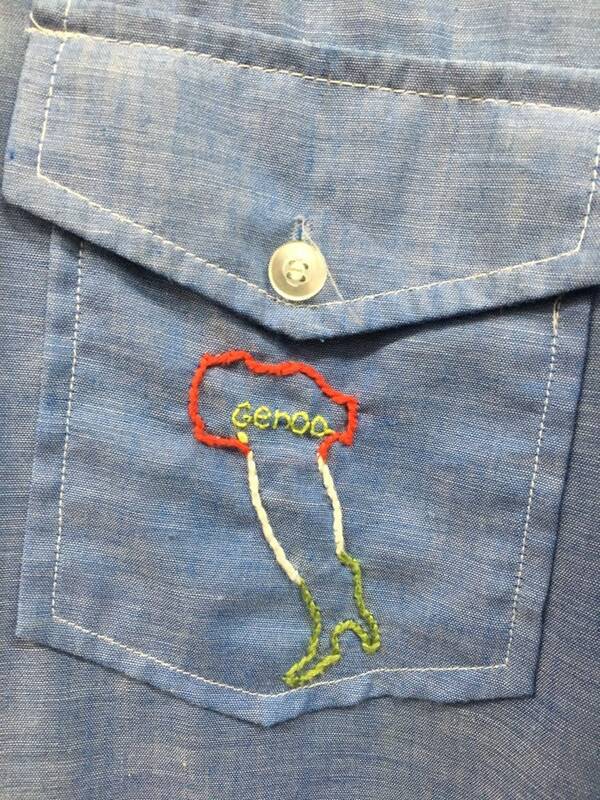 Genoa, Italy on the front pocket. 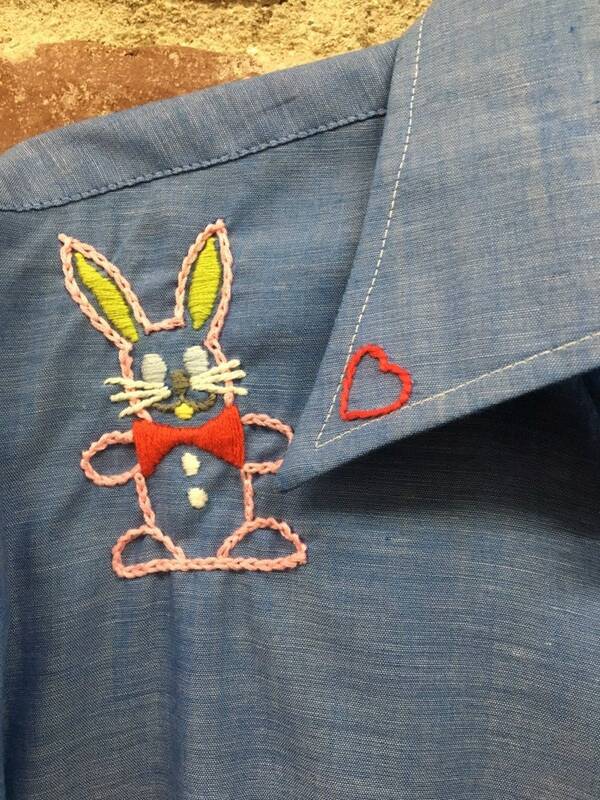 A bunny on the right hand shoulder. 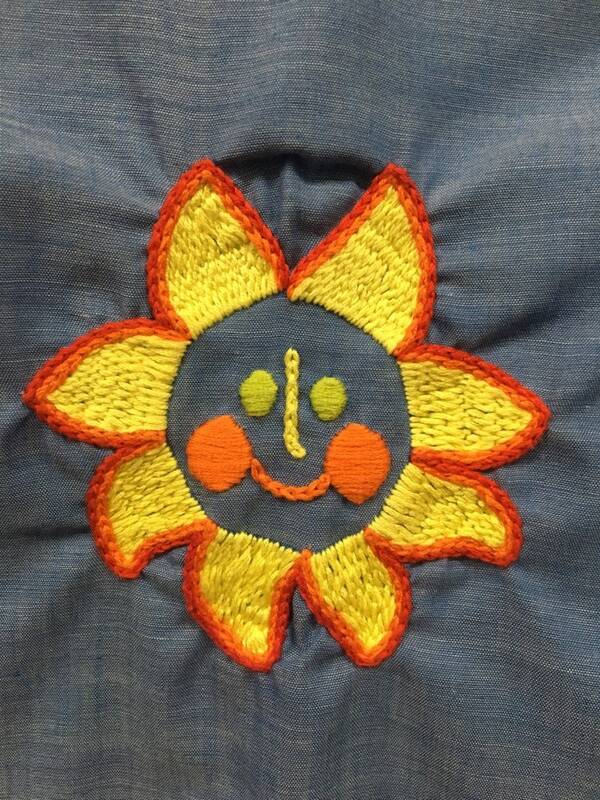 Smiling sun on the back. 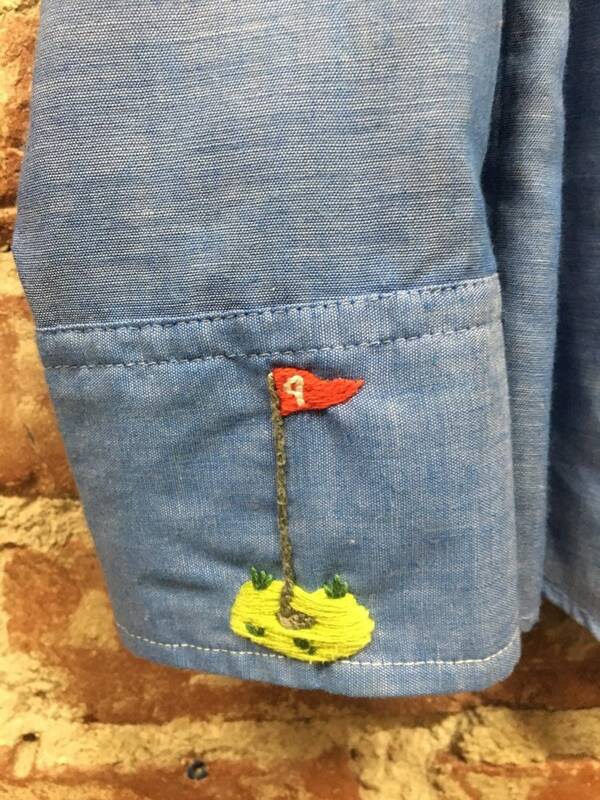 Golf hole on on the left hand cuff.